John Maddison, CFA, CFP® is a Partner, Relationship Manager, and Head of Financial Planning at Balentine. Based in the firm’s Raleigh office, John focuses on helping entrepreneurs and other professionals with complex planning needs simplify their financial lives. He has more than 17 years of experience working in the financial services industry in New York and North Carolina, serving corporate, institutional, and private clients. John’s entrepreneurial background includes the launch of a new product vertical at GLG (Gerson Lehrman Group), a high-growth, venture-backed technology company and, most recently, the formation of a bank supporting Canadians in the United States. A Chartered Financial Analyst, John served two terms as president of the CFA Society North Carolina, the twelfth-largest CFA society in the country, and was named Volunteer of the Year in 2016 for his leadership and vision. John is also a CERTIFIED FINANCIAL PLANNER™ professional. 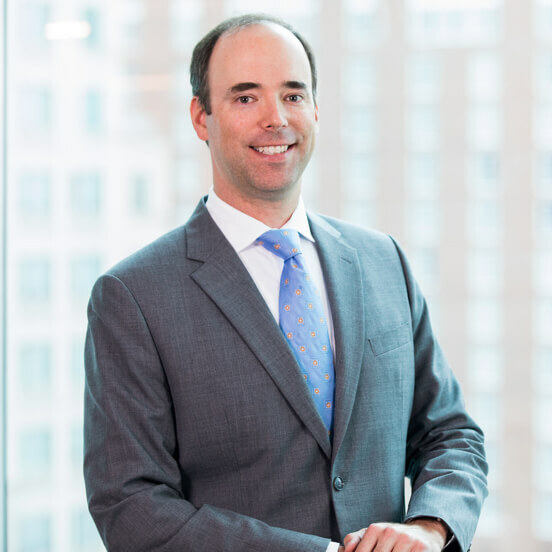 He joined Balentine in 2014 and was named partner in 2019. I completely agreed with the investment philosophy and liked the team-based approach to working with clients. In many firms, the biggest competition is sitting in the office beside you. At Balentine, the emphasis is on truly providing the best and most objective advice available to our clients. I am on the front lines directly serving clients out of our Raleigh office. I also lead our financial planning efforts for all clients across the firm. Through my role, I help my clients uncover their most important goals, develop plans for how these goals will be achieved, and ensure that major decisions are made with an understanding of how they will impact their goals. My colleagues who all work extremely hard and are dedicated to serving our clients. What is it that you do at Balentine that gives you the most personal satisfaction? Knowing that down the road I’ll have a chance to watch my clients achieve their goals due to the plan we laid out together. My banjo. With no one around, I could play it as loudly as I want!